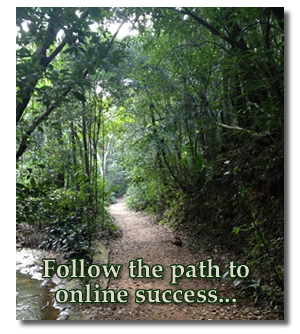 Build website online success by choosing the right path from start to finish! Knowing where you want to end up helps you map the journey when creating a website that will enable you to reach your goals. The purpose of creating a website is different for different people. Some folks just want to have an outlet for their creativity and show off their photos or hobby to friends and/or family. For others, the goal is to use the internet to start a work at home business and create an income, or perhaps take their existing local offline business online to reach a greater audience or clientele. In the latter case, to build website online success, you must build content that makes your visitors return and respond. Learning how to make a website correctly to achieve this end will make all the difference to your small business success. If you don't understand how the internet search engines work or understand the mindset of your future visitors and know how to position your website to be found and meet their needs, you are pretty much doomed for failure. Don't let that thought discourage you, because even if you don't know what you need to know right this minute, you can easily learn with the right guidance and resources - that's exactly what I did! There are actually two ways to build a Web site on-line. The "smart" way is to write well, about what you know and love. Over-deliver great content to please visitors and make the Search Engines love you at the same time. The "hot" way involves buying into (usually at a high price) what the "Get-Rich-Quick" boys do to temporarily fool Search Engines like Google, and hope you don't get caught too soon. The problem with this second method is that SE-gaming is inevitably discovered, disliked, and defeated by the engines. This throws your business into a slump that you may not recover from. So which way will you choose? If your choice is the second option, you may as well leave this website immediately because you won't find any info about "keyword stuffing" or "doorway pages" or "IP cloaking" or "link manipulation." Period. How to write to communicate. How to develop your own "voice" with ability and relevance. How to position your site/biz/self in a way that is unique to you. How to honestly convince people to trust, like, and appreciate what you have to offer. These days, many promoters are selling all kinds of Get-Rich-Quick AdSense schemes. Everyone tells you to find "hot niches" and make money from them. This approach won't work, even if you can write well. Why not? Because to build website online success is almost always about building relationships. Let's say a hot niche is "mattresses." If you have no interest or special knowledge to share about that (or any) topic, how can you deliver terrific content that delivers what searchers want? You can't. Keep in mind Google is getting better and better at recognizing which sites humans like and which they don't. When writing your content, keep it real. Sitesell's Solo Build It shows you how to brainstorm and tailor your personal knowledge and experience into valuable site content for the most profitable results. And it doesn't matter what kind of business you are in. Example: Let say you are running a real estate agency. If you establish yourself as a local expert with a unique knowledge set and communicate more personality than any of the pre-packaged real estate agencies in your area, you will raise your percentages of success by a large margin. All the content you produce is for them, your visitors (customers!). Show the real estate world how your web site can turn into a sales-generating machine that will help you gain qualified leads even as you sleep. When creating a website, read, review and revise your content. The best writing is often re-writing. When you have finished writing, consider letting it sit overnight. Some people find it difficult to write good content, review such content, and post it all in a day. Time and patience are necessary ingredients in the very best content. Read your content aloud. 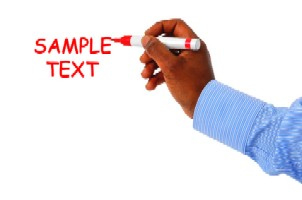 Break your text into shorter lines, easier to read. Take time before you post it. The educational system has not improved over the decades, either. I encourage you to download this FREE book and share it with your teenager and older children, to teach them how to write to communicate. This is simply a critical skill set that everyone needs, but that is rarely being taught effectively. 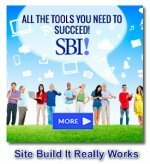 Use SBI, the only all-in-1 product that provides all you need (process, tools, updating, help) to build long-term, profitable e-businesses.